A review of the Securitas Financial Health Insurance Company leads to the Securitas Financial Services, a company that sells multiple types of insurance and financial products. The company offers insurance to individuals and companies alike. Find great health insurance rates now by typing in your zip code on this website! Securitas Financial offers many types of accident and sickness insurance to help individuals and businesses to retain financial solvency during a crisis, illness, or accident. 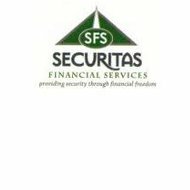 According to their website, their motto is “security through financial freedom.” The insurance products offered by Securitas Financial will help any individual or business to retain financial freedom. Securitas Financial also offers an extensive line of pecuniary products to financial institutions such as banks and lenders. The products offered by the company to financial institutions are geared towards both customers of the financial institutions and the institutions themselves. Securitas Financial offers insurance products to individuals to ensure financial security for any of the problems that life offers. In the event of an illness, accident, or death, Securitas Financial has products to cover every outcome. Medical insurance offered by Securitas Financial includes medical insurance for individuals and families. Temporary medical insurance for those between insurance and supplement insurance to cover medical expenses that are not covered by Medicare is also available. Securitas Financial also offers life insurance with a large number of options to fit any need. Term life insurance, permanent life insurance and universal life insurance are all offered to fit the unique life insurance needs of any individual. Final expenses insurance and insurance to cover a mortgage, to protect the finances of those left behind in the event of a death, are also offered by the company. Disability insurance is a must-have for protecting financial assets during an accident or illness. Securitas Financial supplies disability insurance to individuals and overhead insurance to owners of businesses to cover operating costs during a disability. All of the annuities offered by Securitas Financial are tax-deferred, and they offer different levels of return to fit each unique investor. The company can provide insurance to companies with 5 to 5,000 employees. 401(k)s and retirement planning are also provided for employers to offer to employees through Securitas Financial. Securitas Financial Health Insurance Company provides on-site enrollment, continued service, and customized services for clients to attract participants. Securitas Financial Services offers many products to banks or moneylenders to supply to individual or business customers. Securitas Financial extends many insurance options to customers through financial institutions, such as express or term life insurance and bank-owned life insurance. Other insurances available for banks and lending institutions to offer to customers are credit insurance and debt cancellation. Securitas Financial also provides financial institutions with business solutions designed to attract customers, grow portfolios and sustain business in a global market. They can be reached by calling (229)686-3598, or by fax at (229)543-1093. Securitas Financial Services can also be reached by email by completing the Contact Us form on their website. The state of Georgia’s Office of Insurance and Fire Safety Commissioner, lists Securitas Financial Services’ agency license number as 119116. Enter your zip code now to get health insurance quotes to fit your needs.